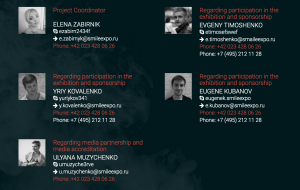 It belongs to the largest network of vape events in Europe held by the exhibition company Smile-Expo. It is the only specialized exhibition in the Czech Republic devoted to the vape industry. This is a wide selection of products for vaping from international and local manufacturers, a conference on the most pressing issues of the industry and a great show program.